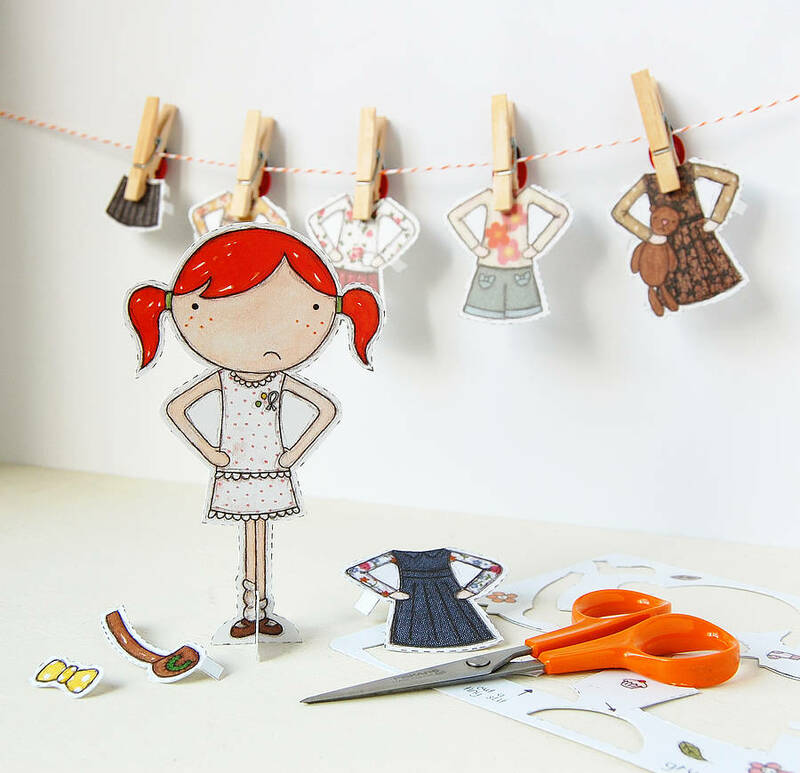 Do you remember paper dolls from when you little? 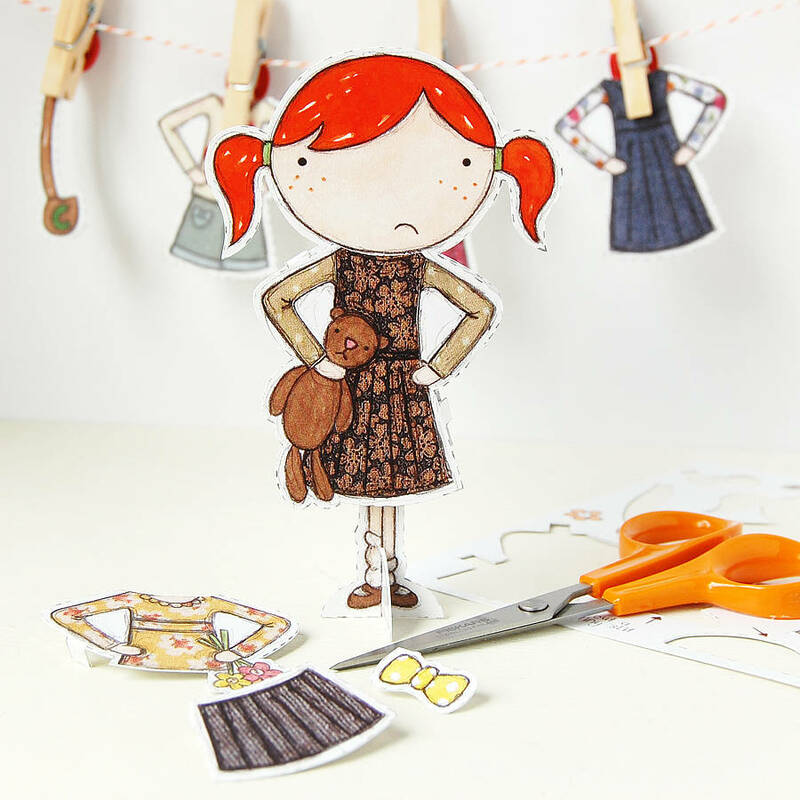 This grumpy Clara dress up doll will inspire a whole new generation of paper doll lovers. 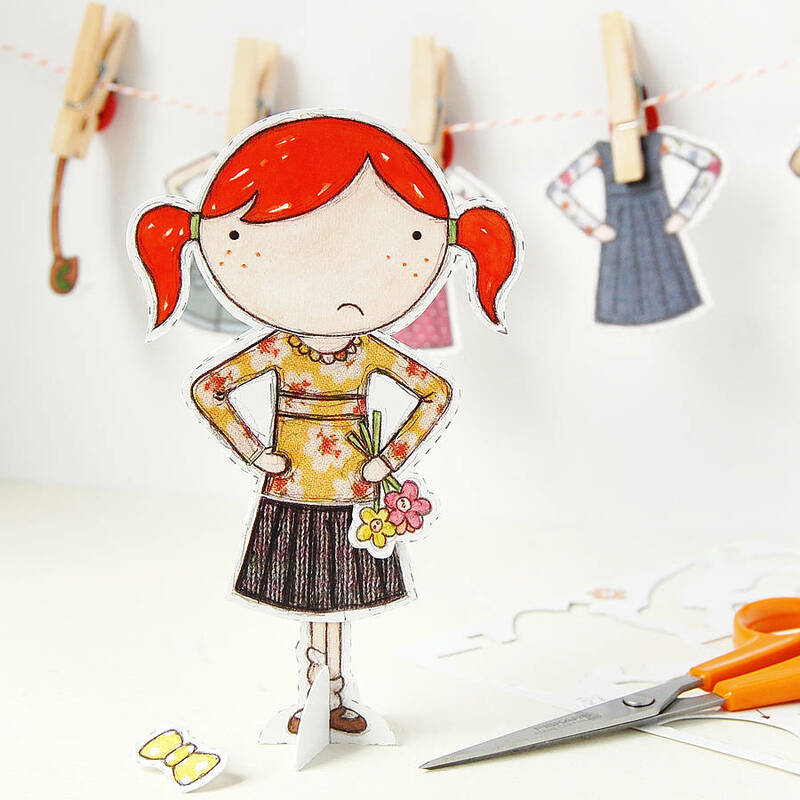 Clara is grumpy and she does not like having to stand around in her grumpy pants at all. Well, would you?! 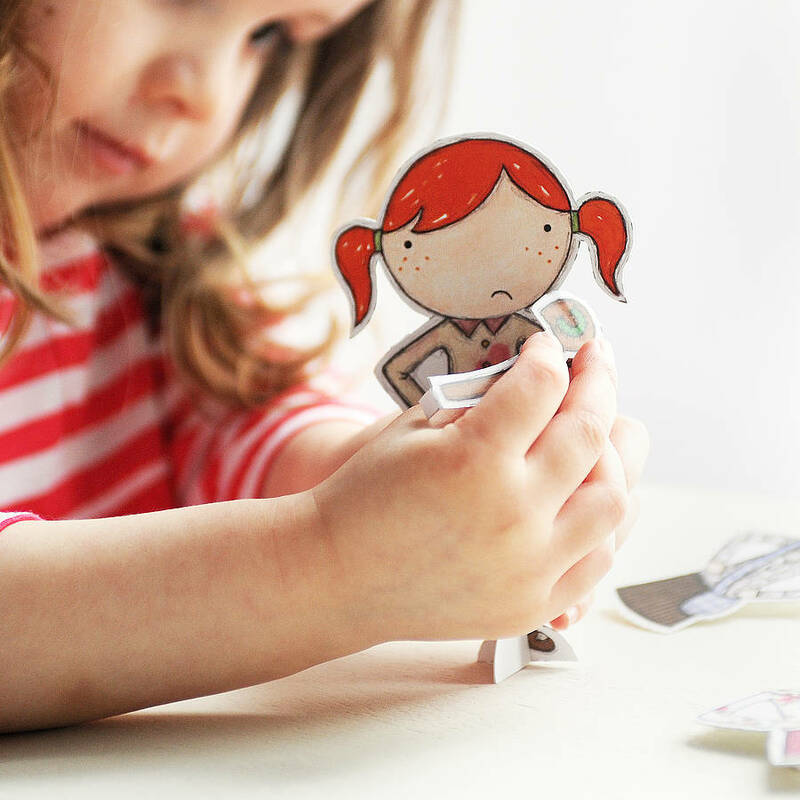 This greeting card is a lovely paper toy to introduce children to the world of creativity. 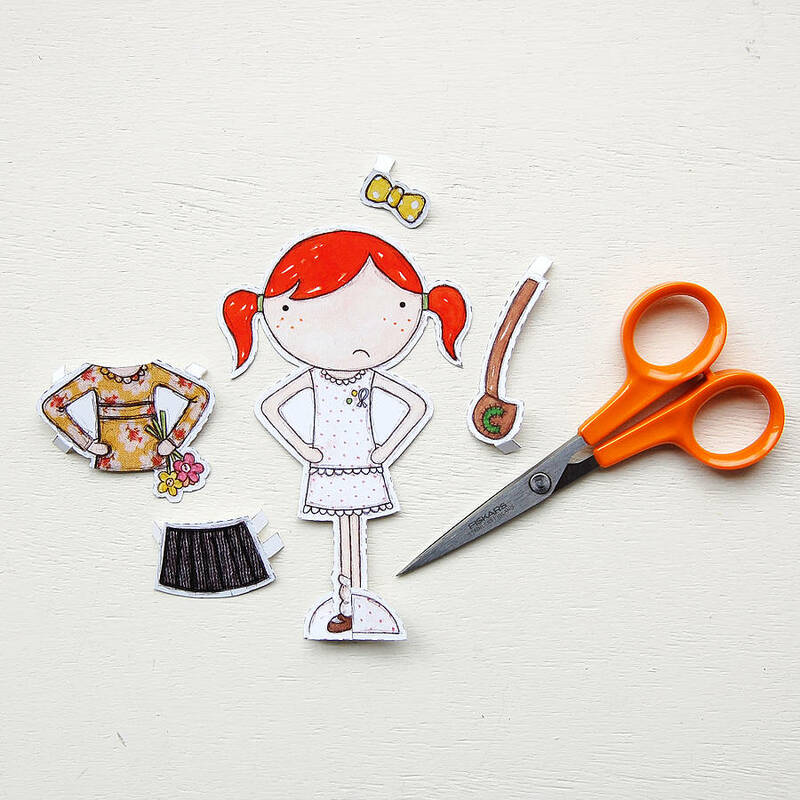 Big and little kids can have hours of fun on a cosy afternoon with nothing more than a Clara dress-up doll and a pair of scissors. 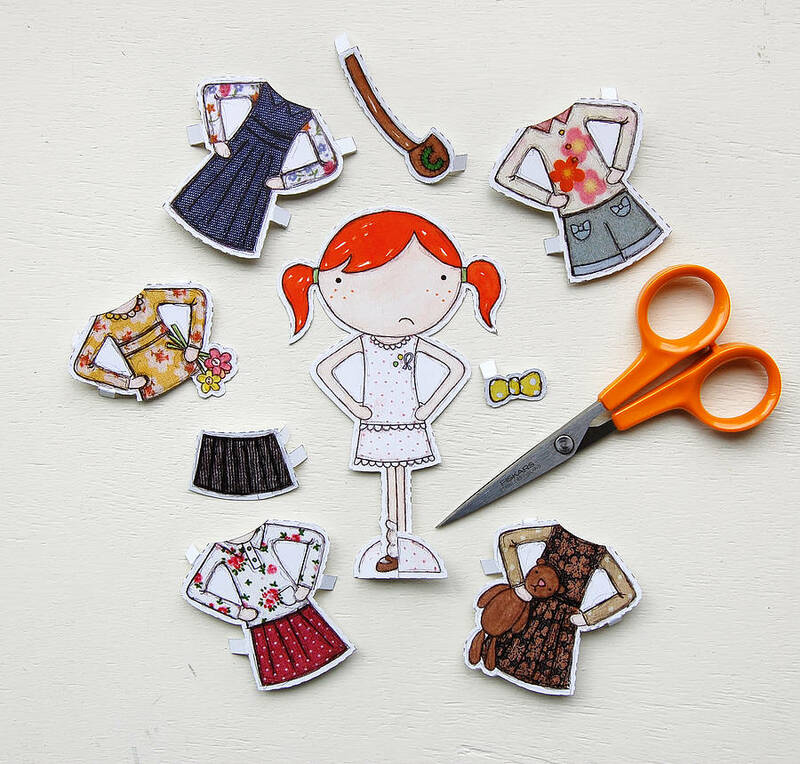 Clara comes with five lovely outfits, a bag, and a hair ribbon so she makes the perfect dress up doll for youngsters. 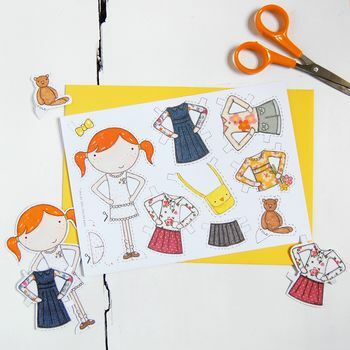 It makes a lovely gift, pocket money purchase, rainy day activity, or party bag goodie. 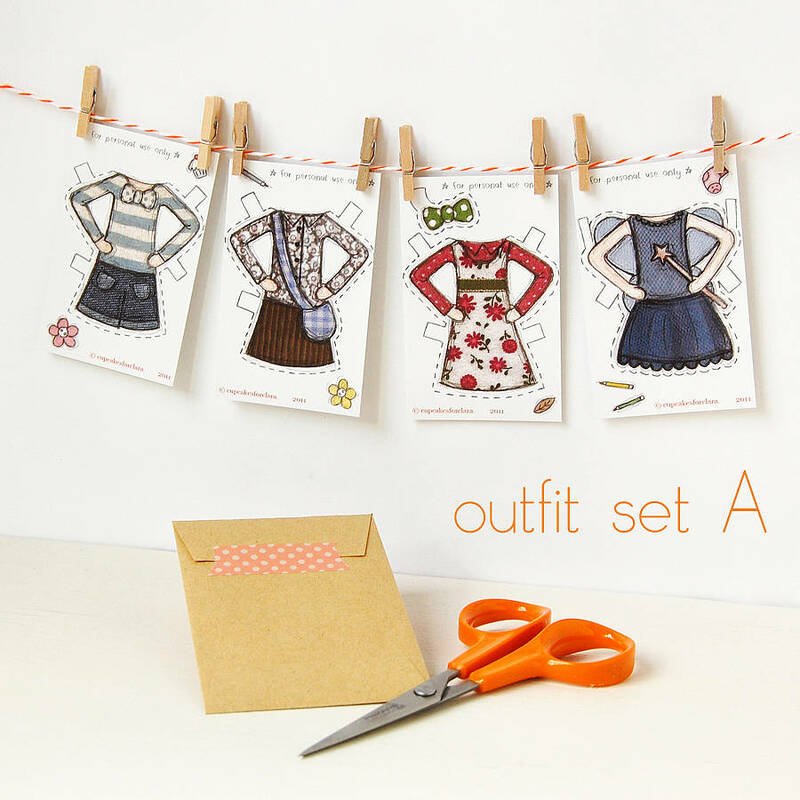 Why not add four extra outfit cards to your Clara paper doll? There are two different sets to choose from. 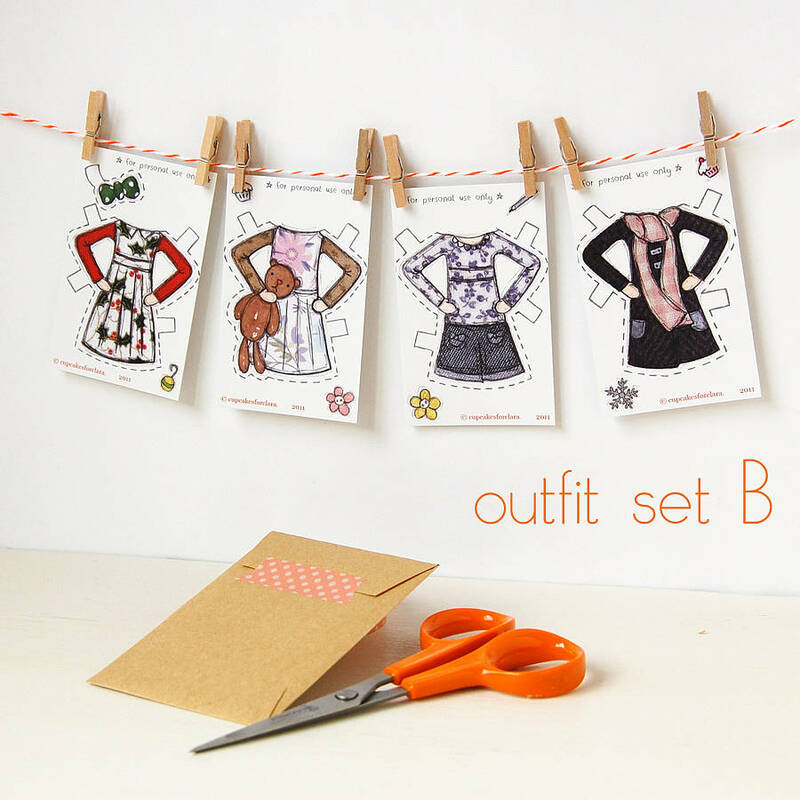 You can collect the whole range! 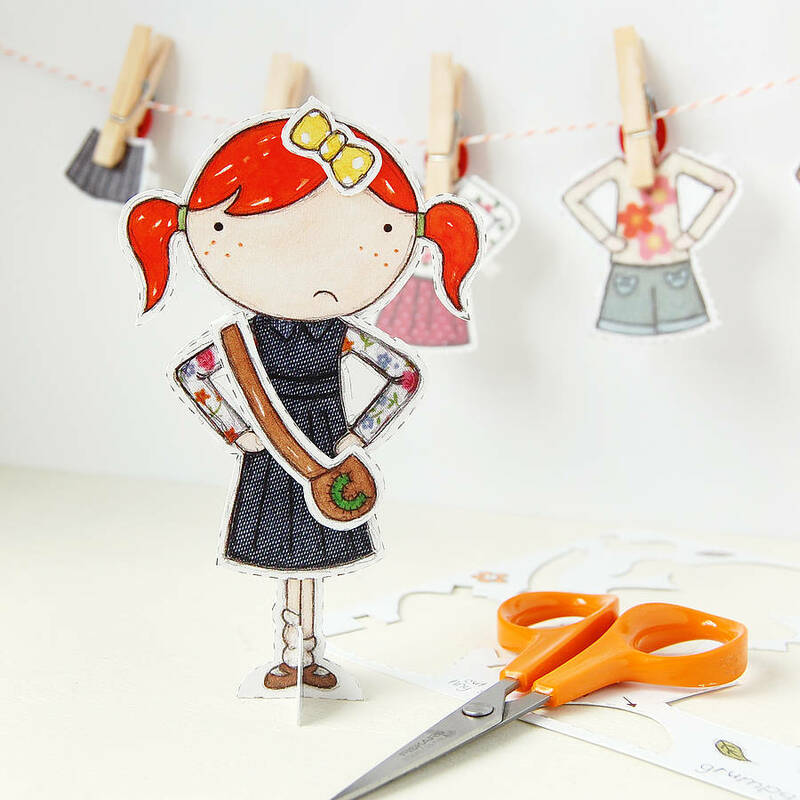 Use the options on the right to choose add on sets. Free UK delivery. 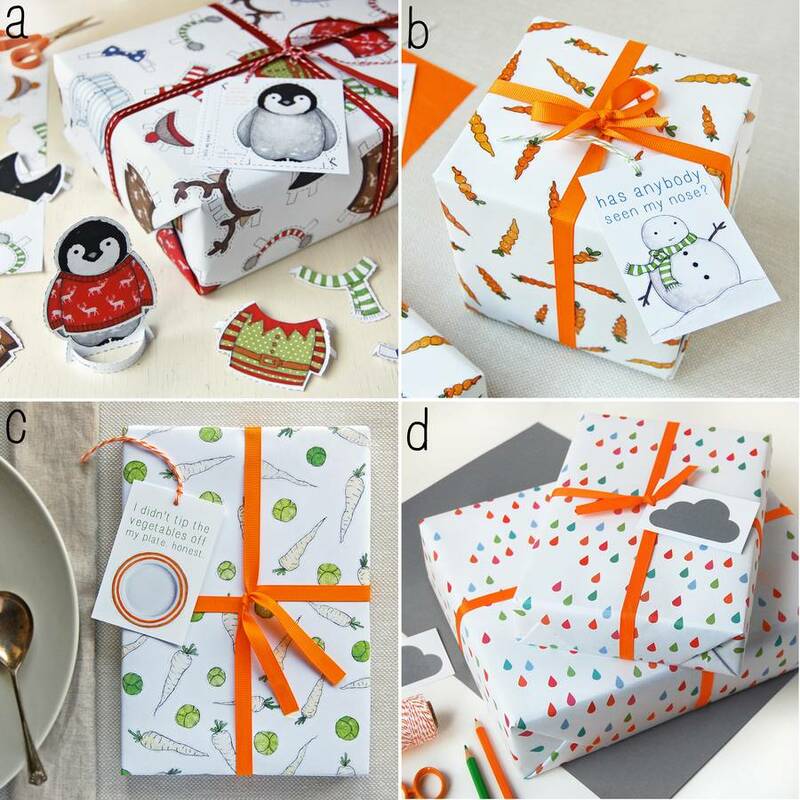 Signature gift wrapping is available on request for a small charge. 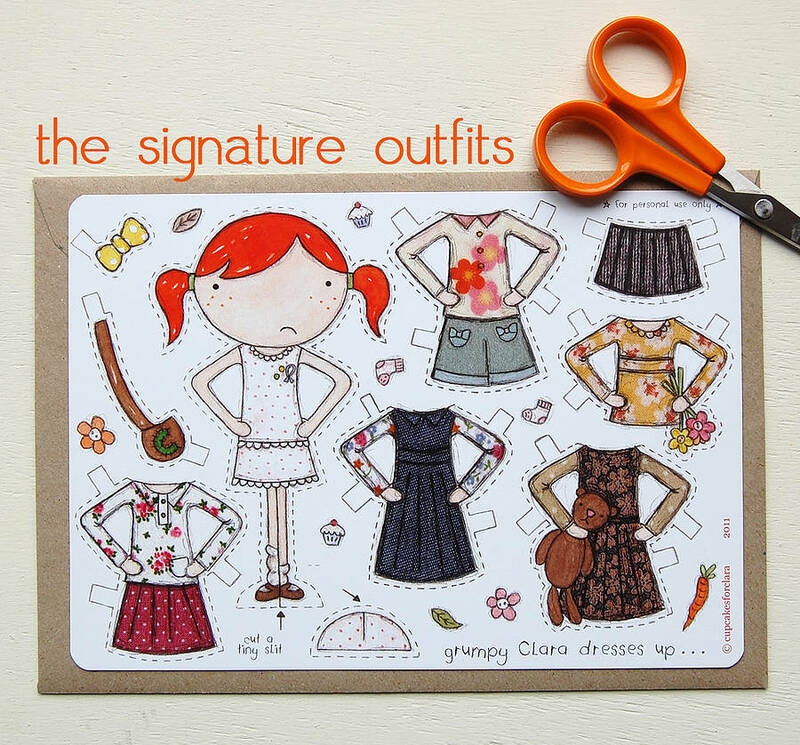 Beautifully printed on 326gsm matte card stock from my original watercolour and collage illustrations. Packaged with a 100% recycled envelope in a biodegradable corn starch bag.